Many people think that psychic abilities are too fanciful to exist. These special abilities are referred to as the sixth sense by people who know that they actually do exist. Everyone has this sixth sense. The problem is that most people just simply do not cultivate it or even know that it exists within them. It is said that some of these people can go through their entire lives without ever realizing that they possess these valuable powers. More pages about psychic abilities; More about psychic abilities, Wikipedia article on psychics, and a page about how to develop psychic abilities. What are some common psychic abilities? There are a number of different things that can be done with psychic abilities. Clairvoyance is probably the most well-known of these. This ability allows people to see future events that have yet to unfold in the present moment. Christopher Walken was clairvoyant in THE DEAD ZONE. Clairsentience is an ability which allows for people to receive feelings from the beyond. The people who practice these powers are most often referred to as empaths. Clairaudience is a power that makes it possible for people to hear things that are not hearable by the naked human ear. These can be ghosts or the thoughts of others or all sorts of other unknowable things. The television host John Edwards has clairvoyant abilities. This means that he speaks to the dead for the people in his audience. Telekinesis is a slightly different psychic ability. It allows people to move objects without physically touching them. Darth Vader had this ability in the fictional space opera in which he starred. Uri Gellar also claims to possess this power. He is famous for saying that he can use this ability to bend spoons. Many people doubt the validity of his claim. However, many people have closed their minds to what is all around them. Uri has demonstrated his power in front of people many times. One of the interesting things about these demonstrations is that people who are positioned close to him, while he bends the spoon, often get some of his abilities themselves for temporary periods of time. 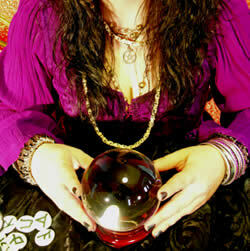 What do you think of psychic abilities? Psychic abilities are very interesting and could be very useful if mastered. Many books have been written about every aspect of these abilities, but the majority of humanity continues to doubt that they actually exist. People who follow society will never cultivate these powers, but those who let go of what they view as reality can easily access any of these abilities within their authentic selves. You can find more information online. You can use the search bar on the right to search. Read as much and learn as much as you can. This will help you find our more about psychic abilities.